HTC Sense 4.1 update to bring better battery life and faster UI? 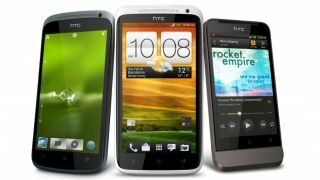 The upcoming HTC Sense 4.1 update could be even faster than the Android overlay it's due to replace, as a leaked ROM makes its way online. Currently Sense 4.0 proudly sits on the HTC One X, One S and One V – all of which run ICS - and it's seen the Taiwanese firm return to the more simplistic overlay of old. According to the folks over as XDA Developers, the ROM in question is a version of Ice Cream Sandwich – Android 4.0.4 – with the Sense 4.1 user interface slapped on top. Apparently the software only runs on the international One X for now, but we've managed to gather info on a few things which we can expect from the new update. It's claimed that Sense 4.1 will bring a "fast and stable" experience, while also offering "awesome battery life" – something which we found disappointing during our HTC One X review. Other tweaks include a fix for live wallpaper lag, a new button in camera app to switch between front and rear cams, removal of 3D effects in the launcher menu to eradicate lag, and a fix for reported Wi-Fi issues which some users have experienced. There's no word on when we might expect to see Sense 4.1 to start arriving on handsets, but we hope it will be with us before the year is out. We've contacted HTC to see if it can provide us with any more detail and we'll update this article once we hear back.